Equipped with beautifully emblazoned gold and silver armor and her huge claymore Durandel, Edith is the captain of the Everlast Dynasty guard. As a determined warrior and talented swordswoman, she is the rightful owner of the title Silvermoon Guardian. Known for her outstanding military achievements, Edith is well known as the shield of Everlast, while Katrina is the spear. Compassionate and righteous, she willingly puts herself in harm’s way for her comrades and her country. Edith was originally born to a noble family in the jewel of the Palmer Kingdom, Silvermoon City. Glistening in the moonlight, Silvermoon City gained its moniker through the Silvermoon stone it was built with. Throughout her childhood, Edith had always dreamed of becoming a knight and defend the Palmer Kingdom. However, due to the cutthroat politics of Silvermoon City, her family were betrayed and slain. Friends of Edith’s father managed to smuggle the young girl to safety to Everlast, where she was forced to rebuild her life. Edith decided to make a living by joining the garrison of the Palmer Kingdom in Everlast as a trainee. Over years of arduous training, she quickly rose to become the backbone of her squad using her natural gift for swordsmanship. Edith fought bravely for the Palmer Kingdom in the war against the Beastman and risked her life repeatedly to save her comrades. With her heroic exploits in the battle, Edith was promoted to the captain of the guards for the Palmer Kingdom. After distinguishing herself by her fierceness on the battlefield and successfully defending Silvermoon City from multiple Beastman incursions, she then was granted the title of Silvermoon Guardian and received her deadly claymore, Durandel. Despite Edith’s best efforts, the Palmer Kingdom was sadly destroyed during the Warring States period. Thane, Edith’s mentor and friend, became the new regent of the surviving Everlast Dynasty where Edith continues to offer her allegiance and protects the people as the Silvermoon Guardian. 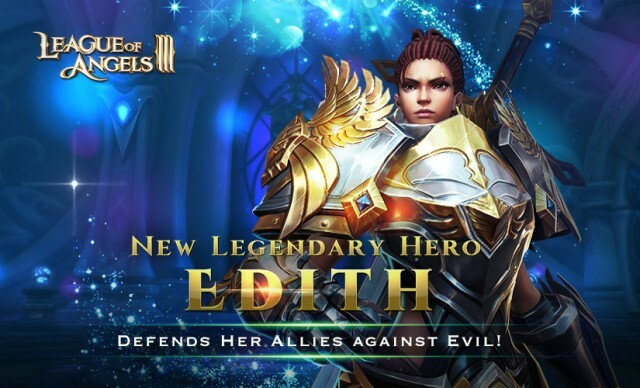 An excellent swordsman, a loving comrade, and a wise captain, Edith is a highly respected warrior across all the kingdoms. Last: Update V3.6.0: Get Ready for Haunting Eve!